I'm here today to show you an arrangement of party favors. I really enjoy to make this project, do you like it? Muy colorido y es una cubetita llena de tantos detalles que luce genial. muy lindo!! La coleccion esta hermosa! I love this! What a great gift! Heey!! That's magnificent!! :) I can see a really lucky someone!!! :D TFS! wooow...esta super mega genial Silvia, me fascinó...felicidades, un saludo !! Silvia, this gift would make anyone happy! Love it! Amiguita, como siempre muy bonito trabajo!! aww lo amo amiga te quedo increibleee. soy tu fan. 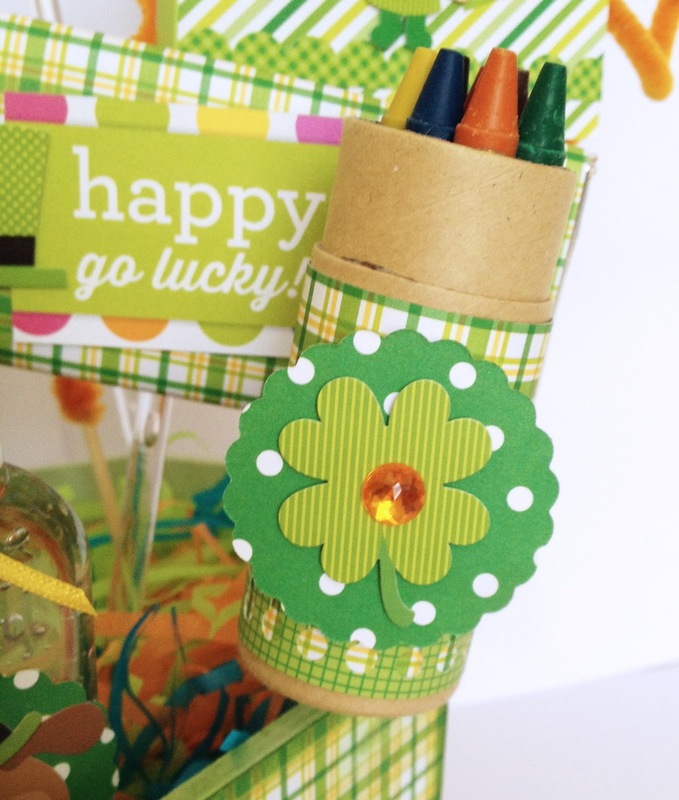 FUN & FABULOUS favors Silvia!!! Super duper adorbsies!!! I LOVE it!!! Thanks for these great ideas!!! Super fun gift idea! 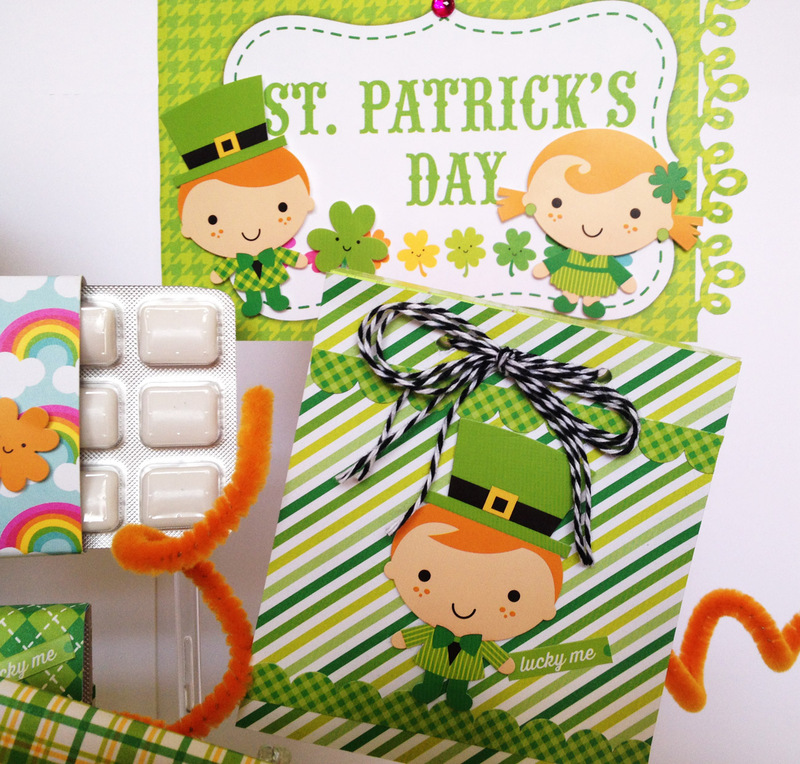 Love all of the fun goodies! 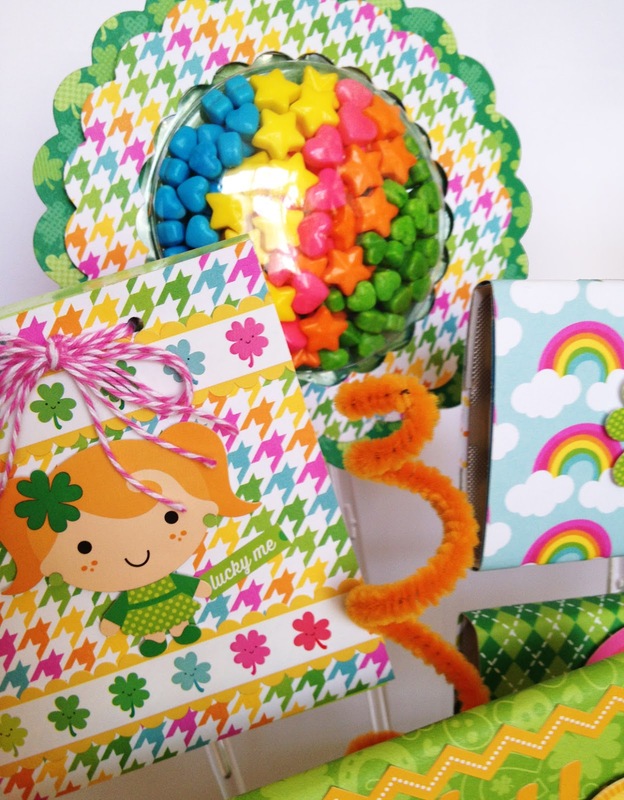 Your basket of party favors is TOTALLY AWESOME!! I LOVE the papers!! Please tell me that you are going to provide directions for making each little gift!! This is FANTASTIC!! 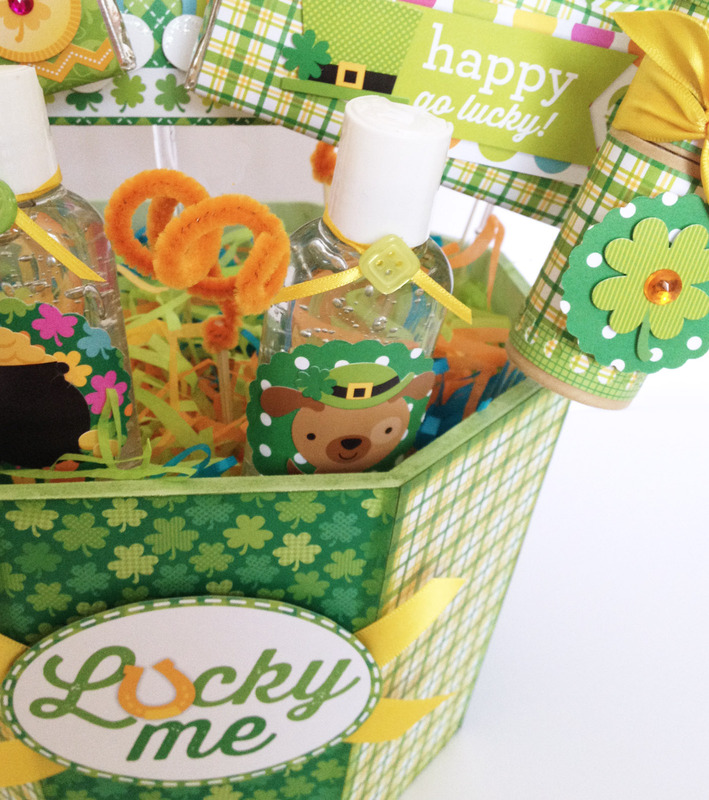 I am so excited that I have this collection because I am going to make my kids feel so "lucky" by making them some prizes like we see here!!! What fun things Silvia has made - AWESOME AND FUN!!! 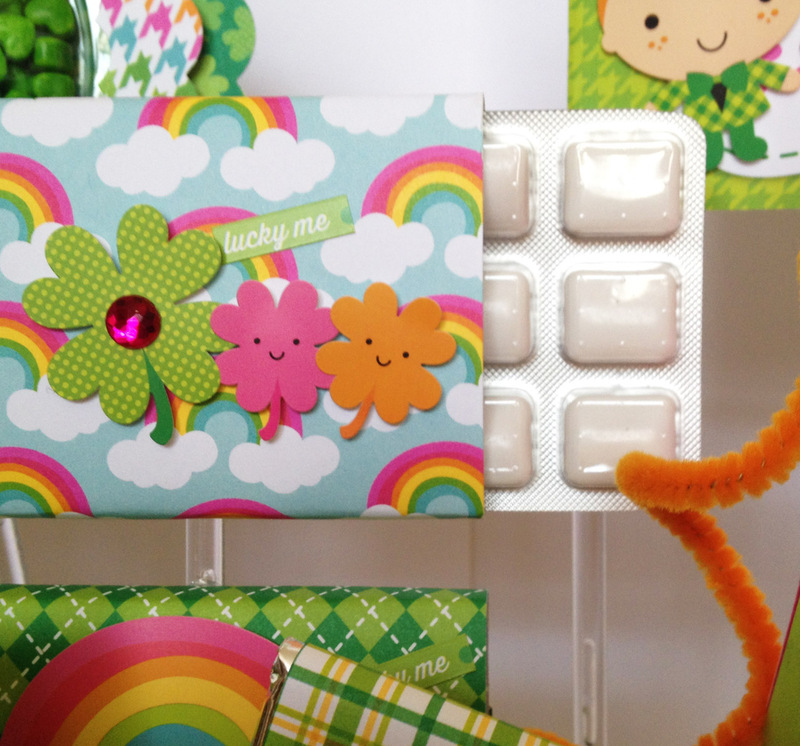 Made cuter with the Happy Go Lucky collection!!! Padridisimooooo Sil, cada detalle luce perfecto. 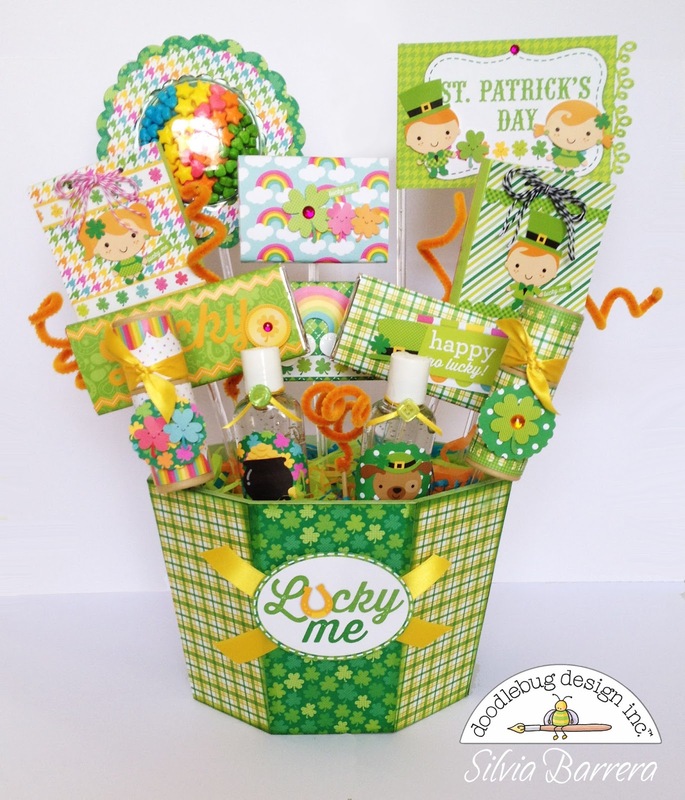 That basket is so fun filled I had to share it on Pinterest.